There’s a slight learning curve to the process. Crawling into tanks can be awkward. Crawling out can be harder still when you’ve fallen asleep or found yourself particularly relaxed. Otherwise, like rowing, it’s not limited to one body type and I believe it’s beneficial so I’m biased. It’s probably not for you if you don’t like hot baths, for example. There were times before I started exercising again or when my lingering strained hamstring flares up that the process was difficult. Fortunately there are float tanks built with wider physical accessibility in mind. I’m developing a narrative about two characters. They both have varying degrees of physical impairment, and I’ve thought about how one might help the other in and out of the tank. Wheelchair-accessible centers recommend just that. A similar process might also help individuals with visual-impairment or blindness. There’s a certain mental fortitude required to float for hours at a time. Floating is mostly cerebral. I’ll go in trying to come up with solutions to multiple ideas or problems I’m encountering. Others might meditate or clear their minds of thoughts and sensations. The process can be overwhelming when you encounter an anxious memory or startling realization. You can leave the door open, some tanks have stereo systems, and it’s not a torture device so you can leave at any time. Just remember it’s not for everyone. Compared to when John C. Lilly built the first sensory deprivation in 1954 to better understand the human brain, there are places popping up around the United States and Europe. My center of choice has two locations. A competitor has four in the area. If travel isn’t an open, and this is something you’re interested in, it’s an entrepreneurial opportunity. Here’s what excites me the most. As we begin to understand and accept others that don’t fit into standard cultural norms, we may see an increase in float tank hosts. They would do well within gyms as part of a sauna or post-workout routine, maybe a small business’s perk, or even an insurance deductible like chiropractic work? What I like about it, too, is that it’s not invasive. There’s no forcing ideologies, chemicals, or other deviations from your current frame of thinking as part of the process. You’re not deceived into buying crap to help figure yourself out. If you figure out anything, great, if not, also great. 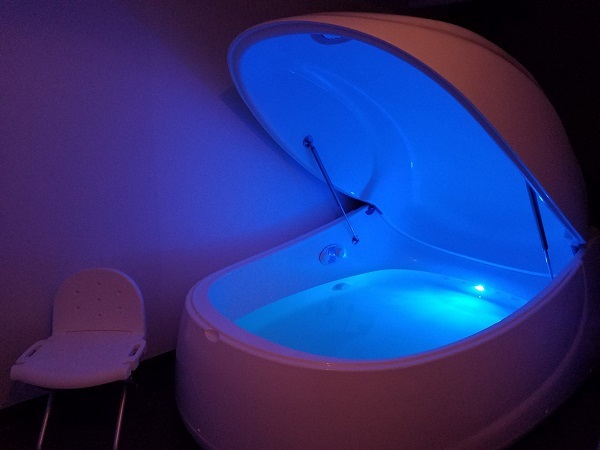 Float tanks are just about accessing deeper thoughts within yourself.